Join us by our spectacular pond for a lovely summer evening of stories and songs – around a blazing campfire! Led by music specialist Susan Sacks, we’ll sing together about animals, birds, plants, insects, and the many seasonal happenings in nature. A chorus of frogs may sing right along with us! Our evening will end with a festive marshmallow roast. Audience participation is a must! Please bring your enthusiasm, a flashlight, blankets/chairs and insect repellant with you that evening. 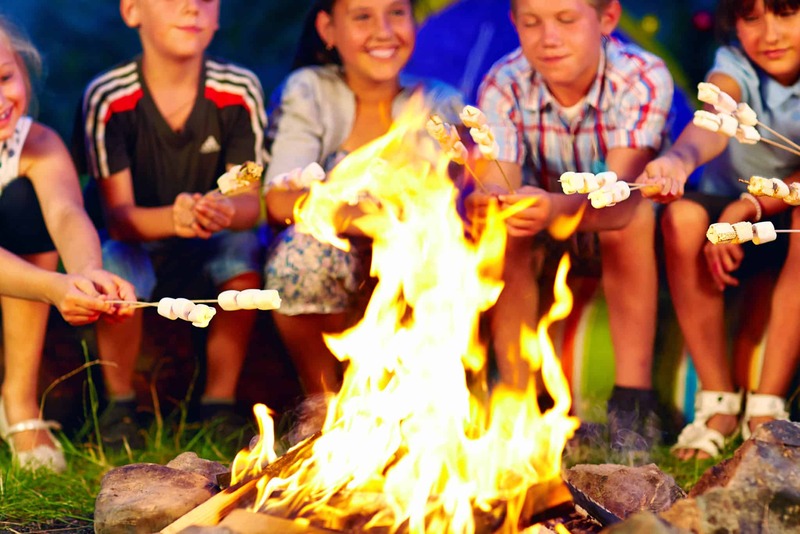 This campfire sing-along is weather-permitting and may be canceled if it is actively raining. Since the age of 12, Susan Sacks has been playing the guitar and singing. For many years Susan has been teaching early childhood music classes and is also a religious school music specialist. Susan looks forward to our campfire event as she brings people of all ages together in song. Additional Registration Information: Advance registration required by June 4, 2018. This event is weather permitting. Check the Preserve’s social media and website for cancellation information.